For its new leather accessories line, Heschung pays tribute to sobriety and mobility with its new Beluga leather and full-grain calfskin briefcase. 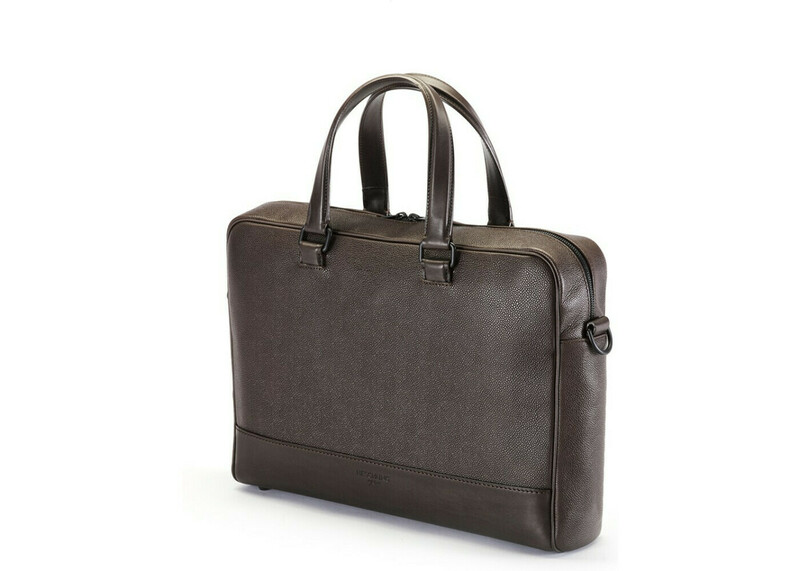 The perfect travelling companion for business or pleasure, this stylish canvas-lined briefcase is ideal for keeping everything nicely organised on the move. Length 40 cm, depth 9 cm, height 29 cm. A4 size inside slip pocket. Slip pocket with magnetic closure. Beluga leather is double-tanned using a time-honoured technique, drum-dyed and hot-stuffed, which gives it exceptional suppleness and waterproof qualities. The aniline full-grain finish has a two-tone caviar grain which gives it depth and a special character.